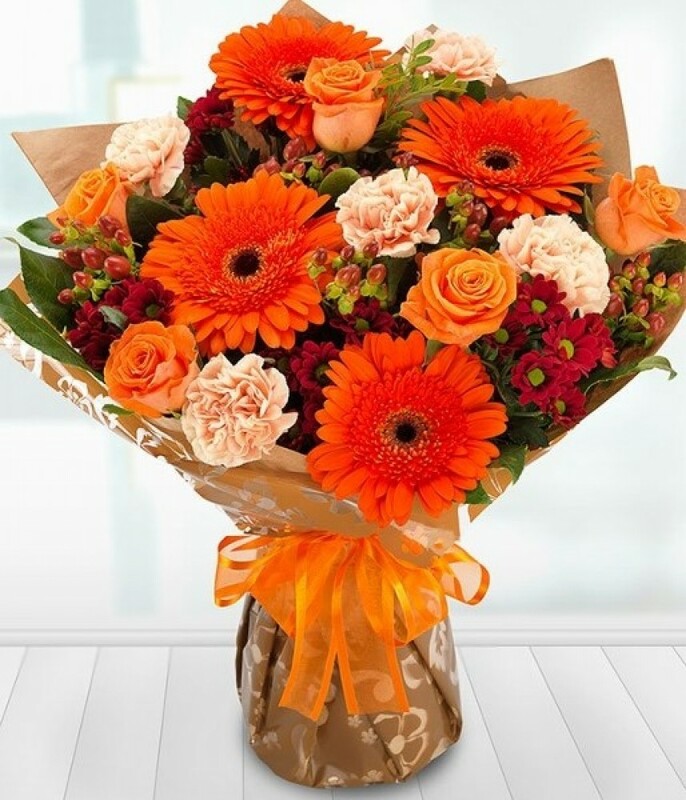 A beautiful hand-tied bouquet especially created by our experienced florists in lovely autumnal shades of oranges and burnt reds. To include orange roses, orange germinis, hypericum berries, carnations and spray chrysants and seasonal foliage. Aqua packed for freshness and presented in a presentation box/bag. Luxury size shown in image.